United States manufacturing was once a predictable place. American companies and the U.S. government designed products, and American factories made them. Lead time was long, and work was plentiful. Wages and a sense of pride in one’s work was on the rise. Manufacturing was an industry swinging for the fence, and we connected all the time. Some things never change. Manufacturing isn’t one of those things. The past 40 years have shaken up American manufacturing to an almost unrecognizable degree. Five million jobs have been lost since 2000 alone, while productivity has gone through the roof. Machines have become so advanced that if machinists from the 1970s transported via time machine onto today’s factory floors, their jaws would drop open and stay that way. From trade agreements to currency manipulation, global competition is both rigged and fierce, and it’s not going away. Through it all, technology has been behind the scenes and the star of them, leading to great advances and tumultuous change. If U.S. manufacturing is to regain and maintain itself at the cutting edge of the global competitive landscape, that change needs to be simultaneously embraced and brought to heel. Thanks to quick-shifting consumer whim and a crowded marketplace, the old days of taking one’s sweet time to develop, design, innovate and manufacture a product has passed. Time-to-market has been dramatically reduced, exposing most supply chains as inefficient, time-sucking behemoths. In a recent Boston Consulting Group survey, the most commonly cited obstacle to generate returns on innovation was long development times. According to Aberdeen Group, manufacturers looking to improve upon their product design processes have only one concern: speed. The lean manufacturing revolution of the 1990s gave U.S. manufacturing a much-needed trim, but when it comes to most manufacturing supply chains, vast swaths of the timeline (gathering RFQs, negotiating a price, procuring materials, arranging logistics) are basically standing still. While it could be argued that there are many reasons the production pipeline takes so long, the main reason is simply that the production pipeline is so long. In order to speed up American manufacturing, the distance between links on the supply chain needs to get shorter. If the factory close by doesn’t have any capacity, you still may need access to one that is half a world away. What’s a manufacturer to do? Distributed manufacturing makes use of a decentralized and digitized manufacturing network that’s always online and ready to work, here, there and everywhere across the U.S. By leaning on the speed, data and range of the internet, distributed manufacturing replaces much of the traditional, material supply chain with one that is digital, placing procurement, logistics and even payment in the cloud. 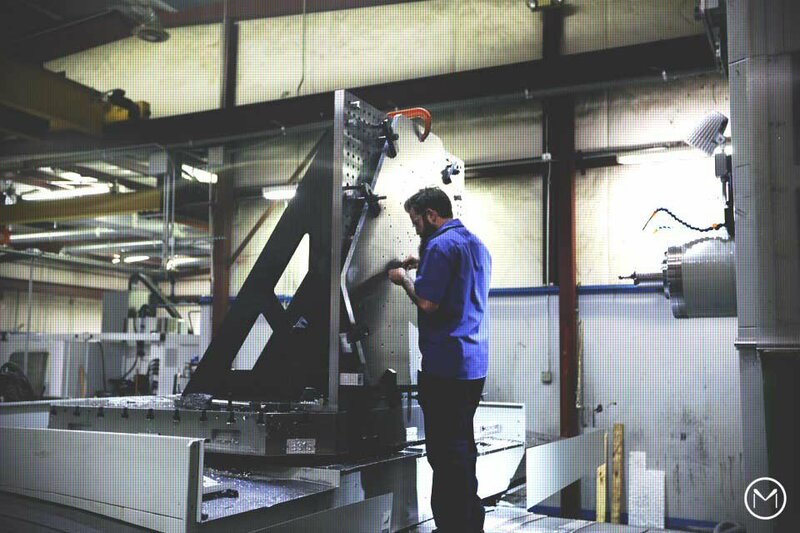 Since a distributed manufacturing network is both localized and geographically dispersed, risk is also mitigated – for the manufacturers in need of parts and for the shops machining them. If one shop or factory can’t meet a spike in demand, the connected network provides instant visibility into where productive capacity does exist. Parts get made at quality and on time, and shops face less uncertainty because jobs ebb and flow less. A true distributed model also makes that shorter supply chain smarter. With improved insight into true cost and fair market pricing through big data and analytics, the mysterious and slow-moving RFQ process can disappear, making way for instant pricing. While an instant pricing model may keep manufacturers from paying the lowest price on a production run now and again, the time savings will increase revenue, since time-to-market, product innovation and prototyping can happen more quickly and more often. For shops and factories, skipping the RFQ will save administrative time and waiting. Procurement and logistics also get smarter, thanks to distributed manufacturing, since connectivity yields real-time visibility into these pieces of the supply chain. The result can mean the difference between being on time and losing out on millions of dollars. Some obstacles cannot be moved. With a distributed model, however, these immovable obstacles can be foreseen and skirted, and the operational effort and stress is offloaded to the network.